Today I am very excited to be hosting Mary F. Burns as she tours the blogosphere for The Spoils of Avalon with HF Virtual Book Tours! Mary has a fascinating guest post for you, plus a chance for one of you to win your own copy! The Real-Life Character, or How Much Can You Fudge? In deciding to use actual, once-living people as the main characters in my new historical mystery series, I had to think about what that meant. Even if they weren’t really well-known or at least popular historical figures—like Jane Austen or Oscar Wilde or Julius Caesar—there would be plenty of people who knew enough about them to take exception to blatant inaccuracies or even just differences in timing. favorite mystery series do just that—they focus on the time period, the historical events, the clothing, food or art—and put the emphasis on the mystery to be solved by their detectives. 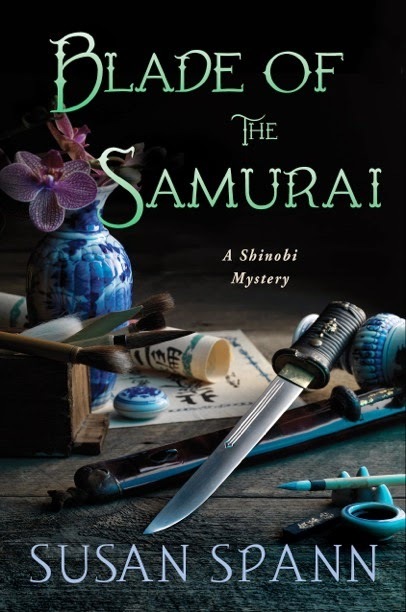 Good examples of these are Susan Spann’s Shinobi Mysteries, set in 16th century Japan, or Frank Tallis’ Max Liebermann Mysteries, in early 1900’s Vienna. Both are scattered with “real” people (like Sigmund Freud in Tallis’ books), and the characters are fully developed, interesting persons in their own right. But then there’s the other challenge—using historical figures, and (what’s worse, some may say) depicting them as amateur sleuths!—like Gyles Brandreth’s Oscar Wilde Murder Mysteries or Stephanie Barron’s Jane Austen Mysteries. The known elements of the main character’s life—family, occupation, accomplishments, virtues and vices—need to be woven into the plot of the story, and in a way, may take precedence over the intricacy or importance of the actual crime. Also, these characters obviously lived in a specific historical time period, and may have had a public impact which also needs to be taken into account. To my mind, this kind of historical mystery takes the “character” of the main character as its focal point—posing the question to the reader (and hopefully answering it successfully): WHY is it interesting to read about a fictional crime or situation in which a beloved, well-known personage takes on the task of solving the problem? We have read their books, or viewed their paintings, or heard their music, so we have a feeling for the person behind the character, and we want to know them better. 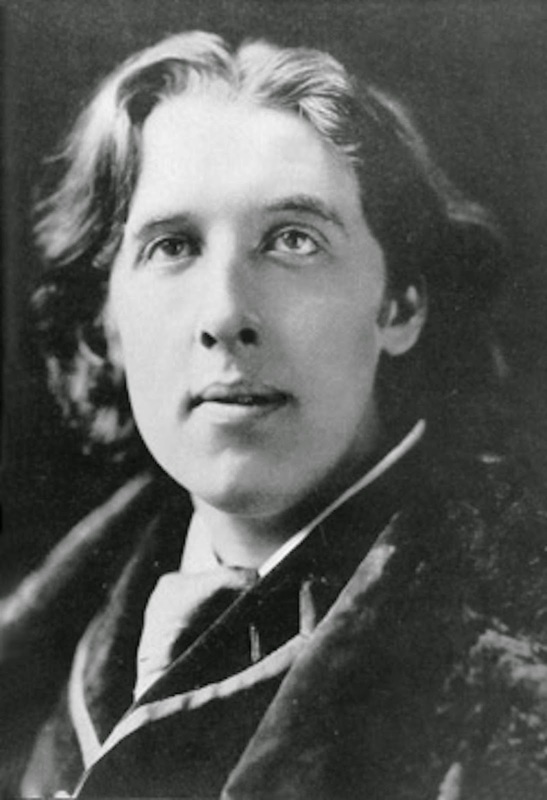 Oscar Wilde is witty and bizarre, and wields his genius for The Ideal in Art in the service of Justice in ways that are insightful as well as humorous. 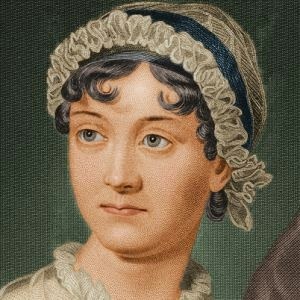 Jane Austen, as detective, comes in contact with people who serve as the models for characters in her well-known novels—and who wouldn’t want to see her meet a “real-life” Mr. Darcy, or an Emma? In my new mystery series, I have as amateur sleuths the painter John Singer Sargent, the more famous of this detecting duo, and Violet Paget, who wrote under the name Vernon Lee, and who was widely read and celebrated during her life, but whose works are fairly obscure today. I had written about the two of them in a previous novel, Portraits of an Artist, about the time in Sargent’s life when he was the toast of Paris, and the spectacular disaster that unseated him—in the form of the scandalous Madame X. I came to know and love John and Violet, and when the book was done and published, I missed them dreadfully! So after a year or so, I decided to put all that biographical reading I had done to even more purpose, and star them in their own mystery series. They were both out-sized personalities, fitted into very different bodies, and they were best friends from the moment they met, at the age of 10. 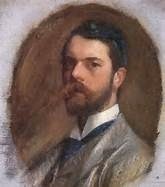 Sargent was tall, around 6’5”, robust, handsome, bearded, genial and outgoing, although he often found it difficult to speak easily, and more often sang and played piano in company rather than conversing, especially with strangers. Violet Paget was tiny, not much more than five feet tall, and very plain, with a long face and weak eyes—but she was an exceptional conversationalist and writer. 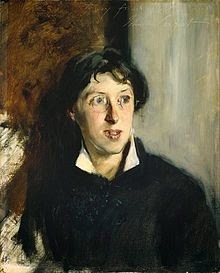 Henry James, who was a friend of both, once said that she had “the most formidable mind” of the time. Both Sargent and Paget were largely self-taught polyglots, speaking French, German and Italian, and Paget especially, could read Latin and Greek. They were both born in 1856, and Sargent died in 1926, Paget in 1935. The stories are written by Paget, in her voice, starting the year after Sargent’s death, but the first mystery takes place in 1877. In looking ahead to the whole series, I am fortunate in having several biographies of both my characters to consult and compare their personal travel itineraries, publications and exhibitions, as well as the people they met, corresponded with, and loved and lost—so I think it’s going to be fairly easy to follow them from 1877 to 1925, making up mysteries for them to solve. But along the way, especially as the series begins when they are both only twenty-one years old, I intend to have them grow and change, develop and mature, fall in and out of love, cause trouble (which they both did, at various times), have successes and failures—in short, be human in the best sense of the word: alive, curious, thoughtful, self-aware and lovable. Questions for you! As a writer, I am always curious about how a reader sees things! Please feel free to answer any or all of the following questions by leaving a comment below. Thanks so much! • Let’s say a person’s biography states that she was in Venice during November of 1878; how much leeway does an author have to place the character there in May instead? Or two years later? As a reader, do you care about this level of accuracy? • If you know that a character is a “real person”, do you look at that character differently from say, a minor character in the novel who is obviously fictional (like a secondary character, a maid or a policeman) even if the fictional character has a significant role? • At the end of this kind of historical novel, do you want to have the author give you more information about the real-life characters, or tell you which ones were real and which ones fictional? Or does it matter? The death of a humble clergyman in 1877 leads amateur sleuths Violet Paget and John Singer Sargent into a medieval world of saints and kings—including the legendary Arthur—as they follow a trail of relics and antiquities lost since the destruction of Glastonbury Abbey in 1539. Written in alternating chapters between the two time periods, The Spoils of Avalon creates a sparkling, magical mystery that bridges the gap between two worlds that could hardly be more different—the industrialized, Darwinian, materialistic Victorian Age and the agricultural, faith-infused life of a medieval abbey on the brink of violent change at the hands of Henry VIII and Thomas Cromwell. First in a new series of historical mysteries, The Spoils of Avalon introduces two unlikely detectives and life-long friends—beginning as young people on the verge of making their names famous for the next several decades throughout Europe and America: the brilliant and brittle Violet Paget, known as the writer Vernon Lee, and the talented, genial portrait painter John Singer Sargent. Friends from the age of ten, Paget and Sargent frequently met in the popular European watering places and capitals, frequenting the same salons and drawing rooms in London, Rome, Paris, Florence, Venice, Vienna and Madrid. Both were possessed of keen minds and bohemian tendencies, unorthodox educations and outsized egos (especially Paget). Their instant, natural bonding led them to address each other as “Twin”, and they corresponded frequently when they were apart. Henry James once described Violet Paget as having “the most formidable mind” of their times, and he was an active fan and patron of John Sargent, introducing him to London society and his own inner circles of literary and artistic genius. 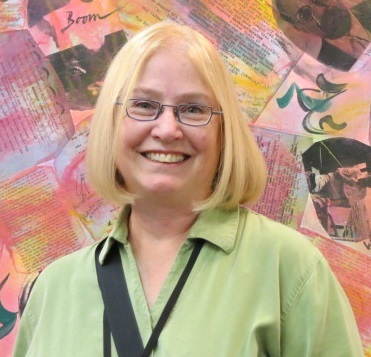 Mary F. Burns is the author of PORTRAITS OF AN ARTIST (Sand Hill Review Press, February 2013), a member of and book reviewer for the Historical Novel Society and a former member of the HNS Conference board of directors. A novella-length book, ISAAC AND ISHMAEL, is also being published by Sand Hill Review Press in 2014. Ms. Burns’ debut historical novel J-THE WOMAN WHO WROTE THE BIBLE was published in July 2010 by O-Books (John Hunt Publishers, UK). She has also written two cozy-village mysteries in a series titled The West Portal Mysteries (The Lucky Dog Lottery and The Tarot Card Murders). Ms. Burns was born in Chicago, Illinois and attended Northern Illinois University in DeKalb, where she earned both Bachelors and Masters degrees in English, along with a high school teaching certificate. She relocated to San Francisco in 1976 where she now lives with her husband Stuart in the West Portal neighborhood. Ms. Burns has a law degree from Golden Gate University, has been president of her neighborhood association and is active in citywide issues. During most of her working career she was employed as a director of employee communications, public relations and issues management at various San Francisco Bay Area corporations, was an editor and manager of the Books on Tape department for Ignatius Press, and has managed her own communications/PR consulting business, producing written communications, websites and video productions for numerous corporate and non-profit clients. 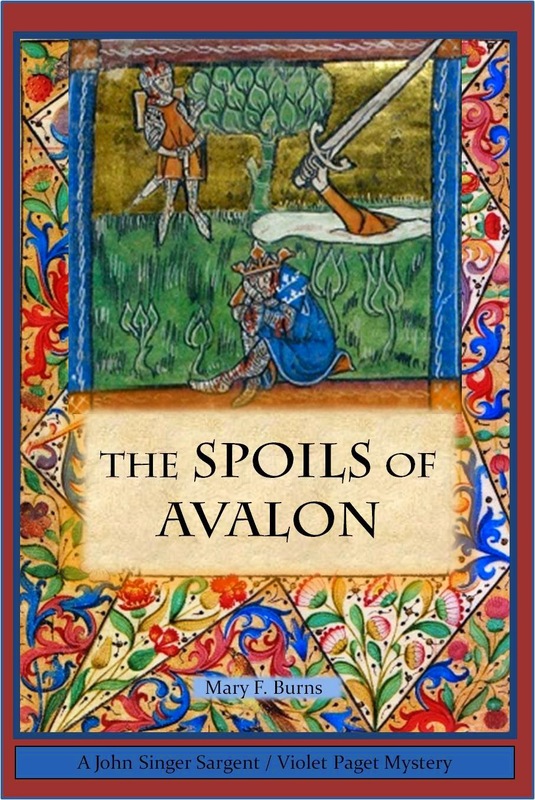 To enter to win a copy of The Spoils of Avalon by Mary F. Burns (Paperback or eBook, Winner's Choice) please enter using the Rafflecopter form below. - Giveaway ends on November 22nd. - All giveaway entrants agree to be honest and not cheat the systems; any suspect of fraud is decided upon by blog/site owner and the sponsor, and entrants may be disqualified at our discretion. - Winner will have 48 hours to claim prize, after being notified via the email. After 48 hours, if there is no response, another winner will be chosen. a medieval world of saints and kings - sounds like something I enjoy reading ! ! Now this is what I call a historical fiction novel cover that represents the literary genre loud and clear --- and not just in the usual tradition so many of us prefer of presenting visually dazzling, glamorous imagery centered on female subjects in dresses dreams are made of. :-). I love it when an author writes a fictional story, but includes real life characters whether they are primary or secondary. I'm a huge fan of Stephanie Barron's books so I could definitely see myself enjoying this new series. As to the balance of truth and fiction, I don't take a hard line about it being meticulous about dates and places matching up, but its always nice at the end to know when an author had to move something to accommodate the storyline. That being said, I don't like it to have so many changes that I hardly recognize the characters who are real life. Interesting post, thanks! Thanks, Sophia, for responding to my question - I love to hear what readers think. I am not bothered by a discrepancy of a month or two, or even a year or two necessary to the flow of a story, but I truly appreciate information in an "author's notes" section re. what is fiction, and/or what is not fiction. Thanks for the giveaway. Hi Linda - thanks for the comment. As a reader of historical fiction myself, I always like the author's notes that tell me more about the characters, so I tend to do that myself in my own books. This book has it all: murder, magic and treasure. I have added this book to my TBR list. Thanks for the giveaway! The book looks great! Hope to get a chance to read it; thank you! I am happy to read a blend of fact & fiction. I can forgive most things if the story is engrossing.